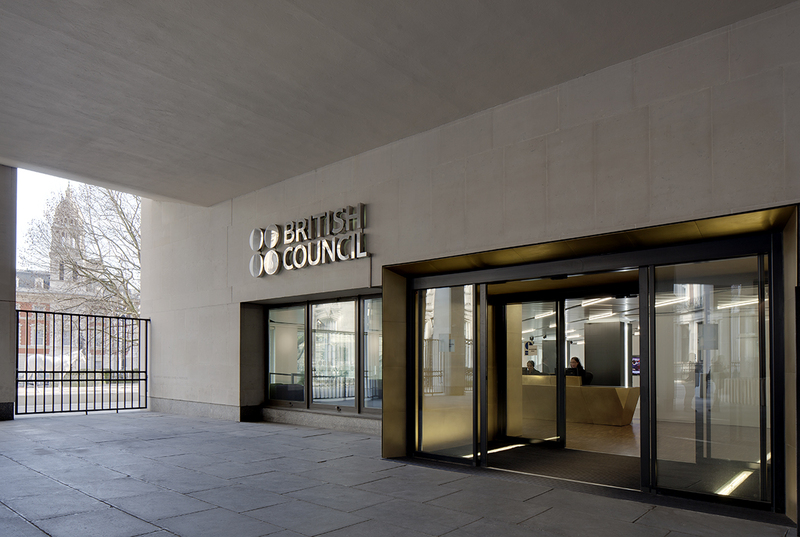 Emulsion was the winner of an invited competition to design the new reception area for the British Council, at their UK headquarters overlooking The Mall in London. 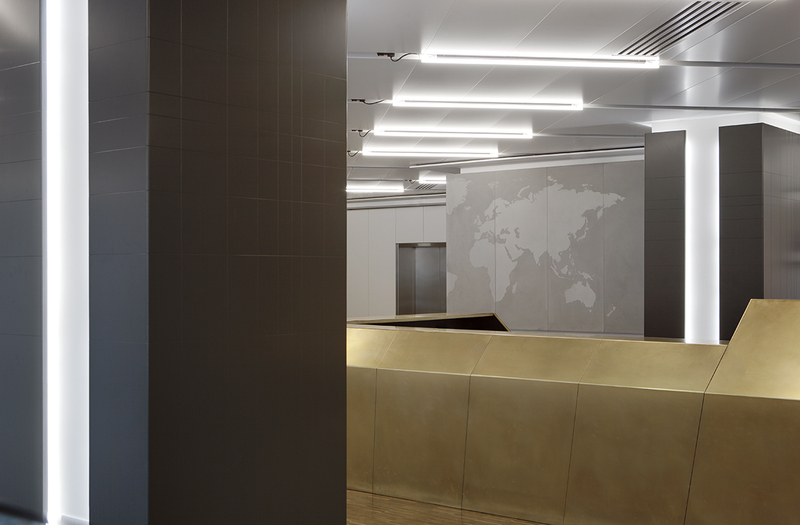 The brief was for a well-planned reception area suited to a prestigious office environment, which also allows the space to host related events and temporary exhibitions. 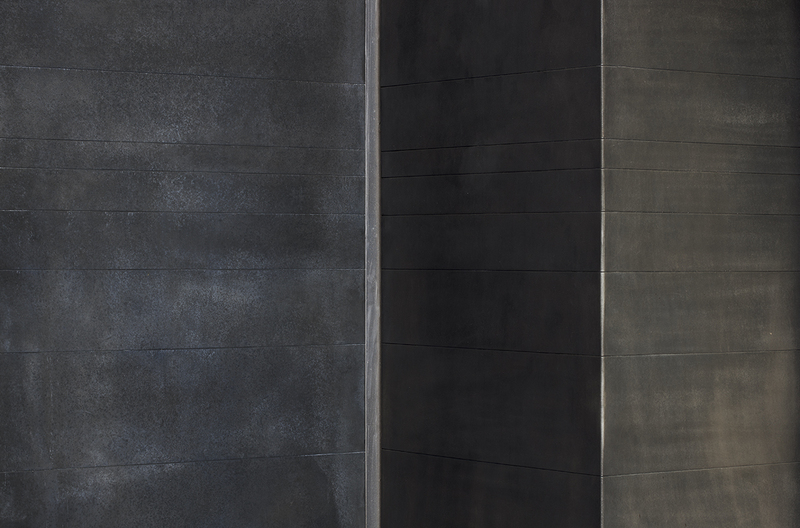 The project was required to meet the client’s expectations for design excellence, consideration of environmental factors, sustainability and longevity of specification. 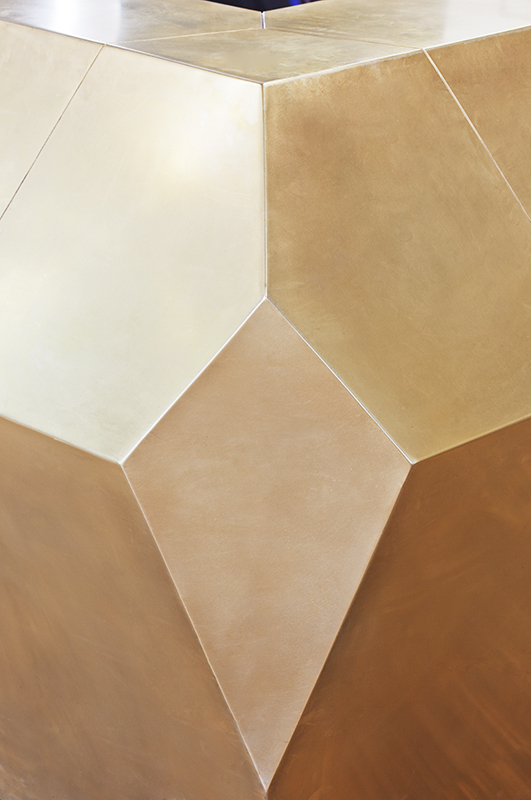 The approach to the building is given a new focus with a striking entrance portal, lined with brass and wrapped in contrasting zinc-coated steel, which announces the palette for the interior. 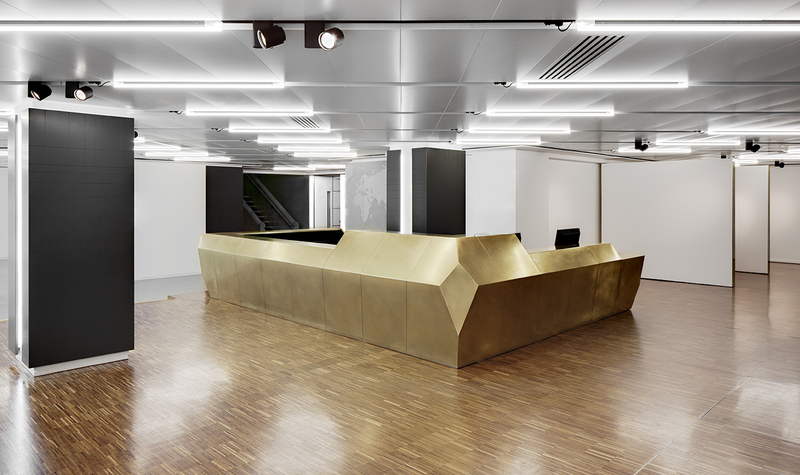 The centrepiece of the space is the commanding reception desk made from precision-crafted brass segments – its form fulfils the client’s brief for operational flexibility: to serve as a reception for the offices, and as a welcoming station for exhibitions and events. 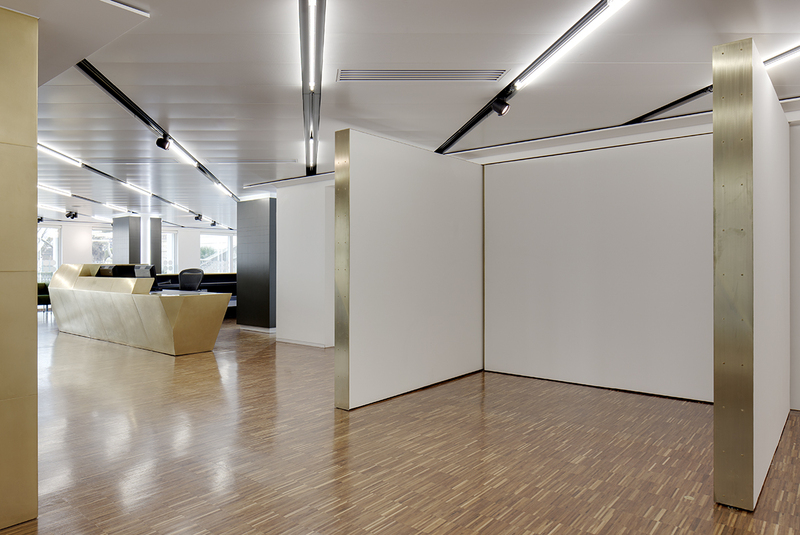 Pivoting hinged walls allow the layout to be flexible to suit temporary displays, and AV projector points are located around the space to facilitate multi-media installations. 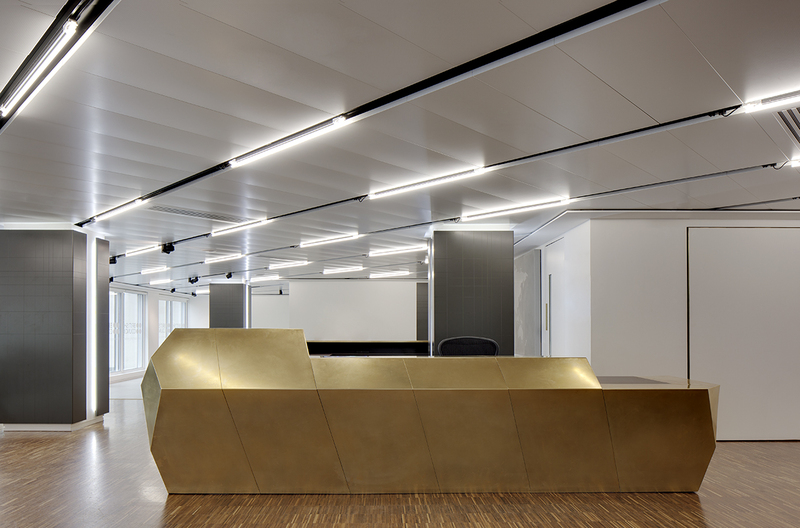 An acoustic ceiling tile system softens the sound in the space, and reads diagonally to emphasise the entrance sequence into the building – the lines of the grid and the associated lines of light, link all the areas together, bringing spatial and visual continuity, also defined by black troughs which carry the moveable energy-efficient light fittings. 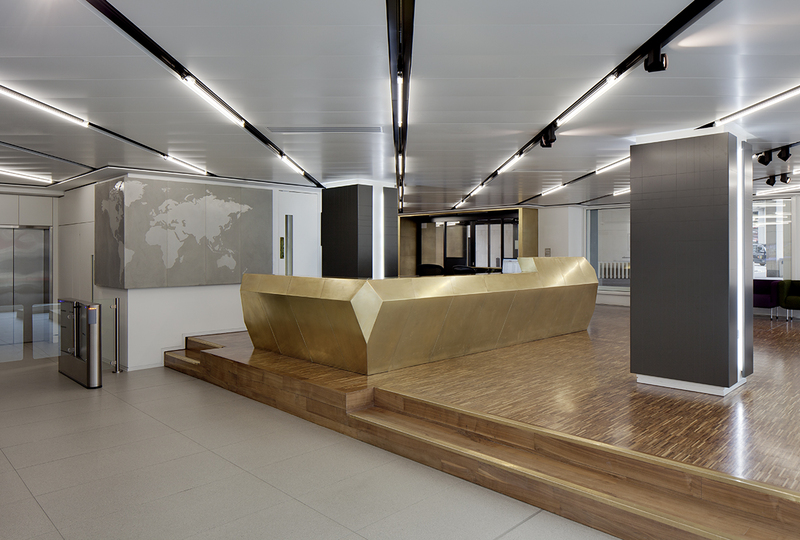 The specification includes lighting by Flos and Inox, and flooring by Domus to complement existing retained industrial wood parquet. 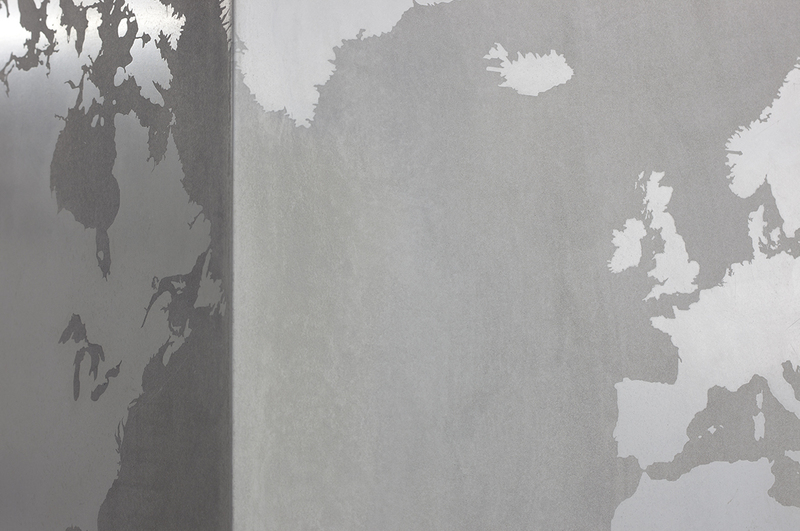 The beautifully intricate concrete world map was made for us by Gray Concrete. 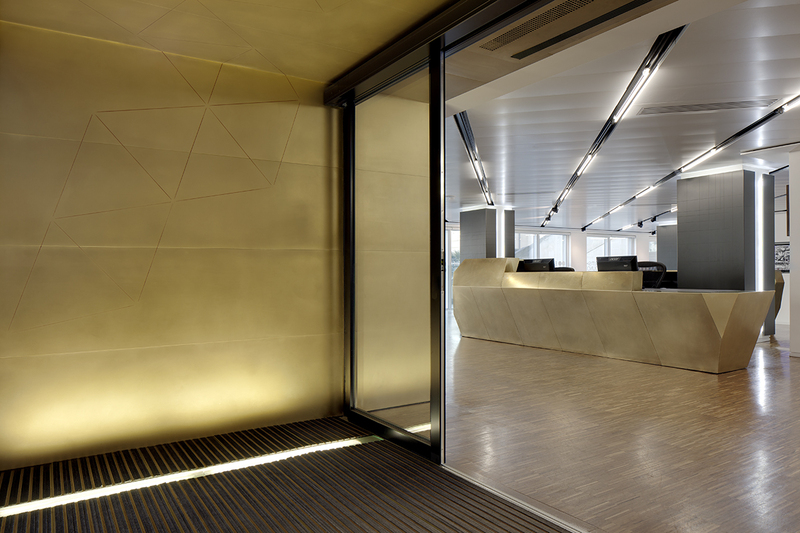 The resulting project is a thoughtful and well-executed reception area that unifies and makes coherent the experience of entering the building for both cultural and corporate users of the building.